March is the month for Irish Celebrations and family reunions, at least that’s how it works for me. 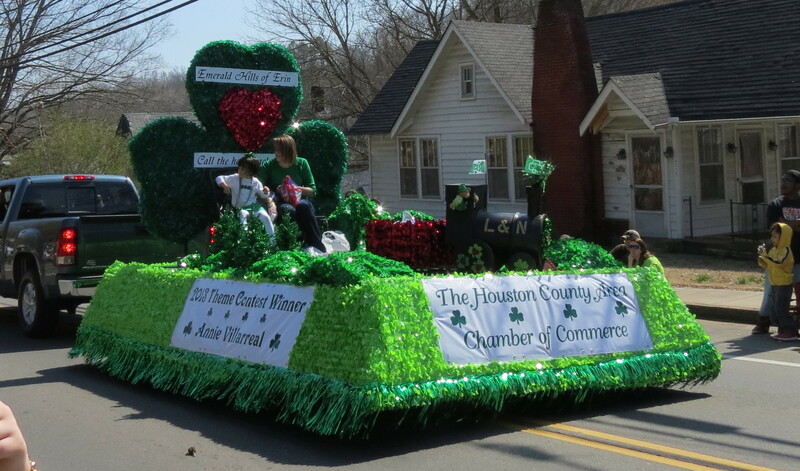 My hometown holds a big St. Patrick’s Day Celebration every year with parade, carnival and craft fair. This event also provides an opportunity for old friends to gather, high school buddies to get reacquainted, and families to reunite. We attended the annual event and it provided lots of excitement. 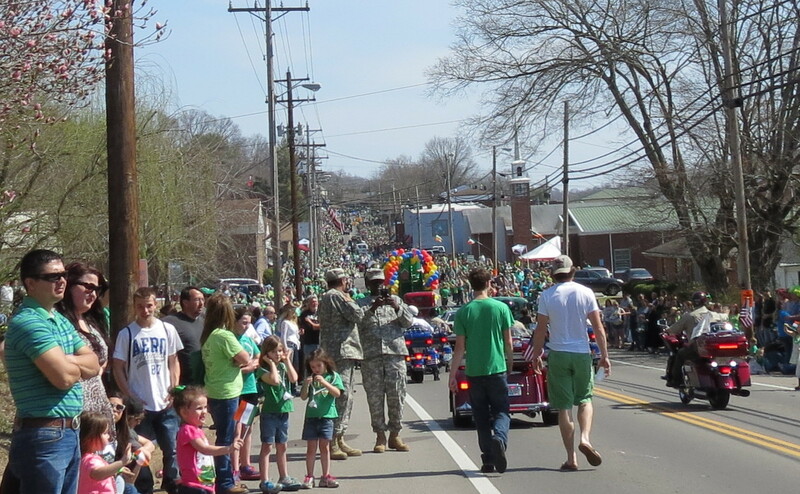 The small town of Erin, nestled in the hills of middle Tennessee, hosted enough visitors for the St. Patrick’s Day Parade to multiply its normal size by tenfold, if the estimated 20,000 attendees was accurate. And crowded is far from the normal in this quiet community. Many came out to enjoy the gorgeous weather. I also have to give credit to all the people who worked so hard to make the parade such an exciting and fun event. 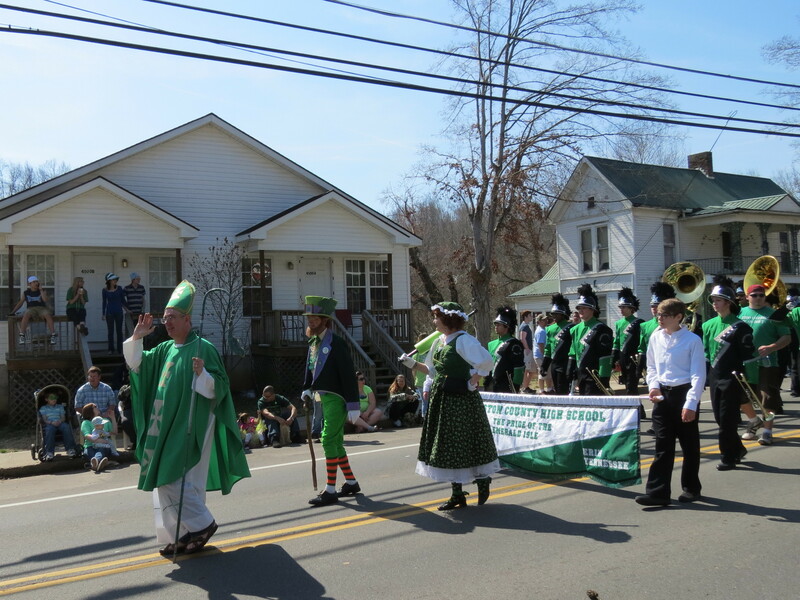 The parade started with St. Patrick leading the way. The local high school band followed. 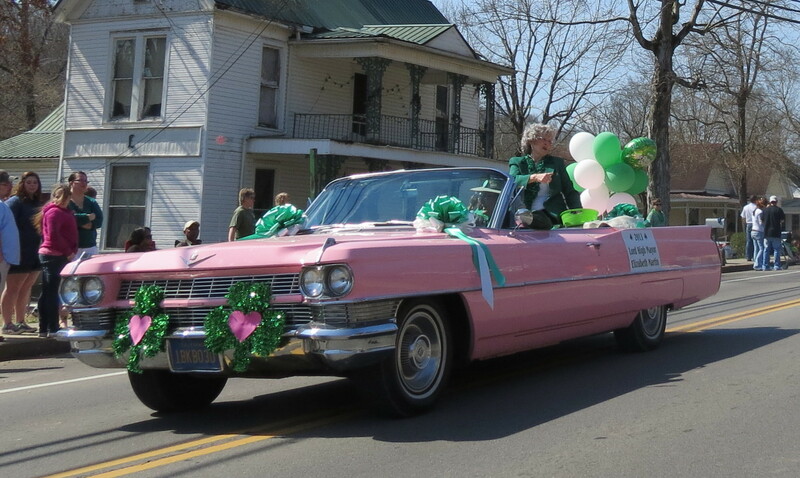 The Lord High Mayor rode in her pink Cadillac and much more followed. 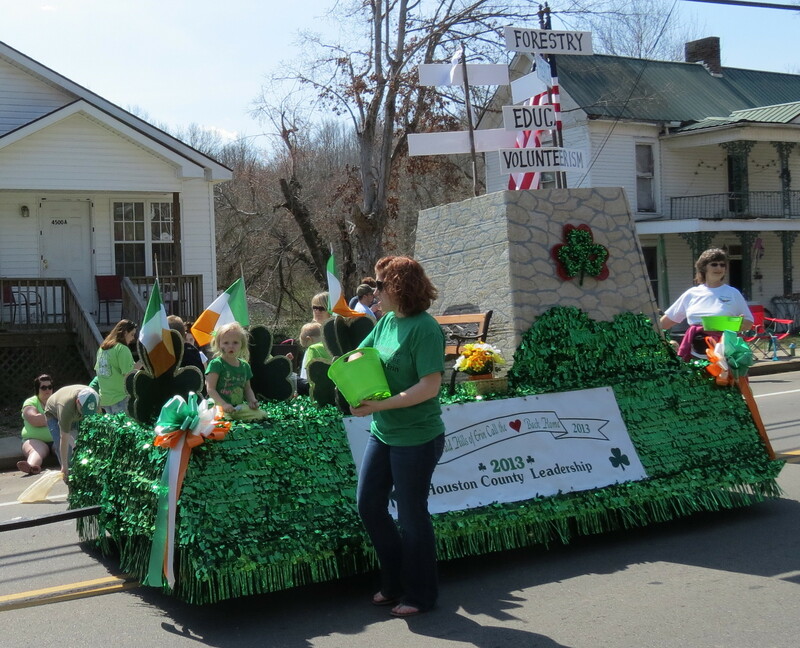 Every year at St. Patrick’s Day my hometown of Erin, Tennessee, holds an Irish Celebration. 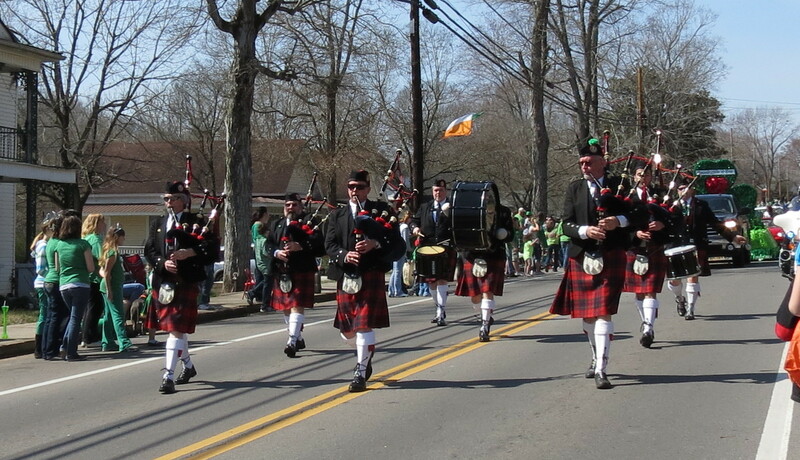 The celebration honors the Irish roots of the community and, during the Celebration, everyone in town is Irish. 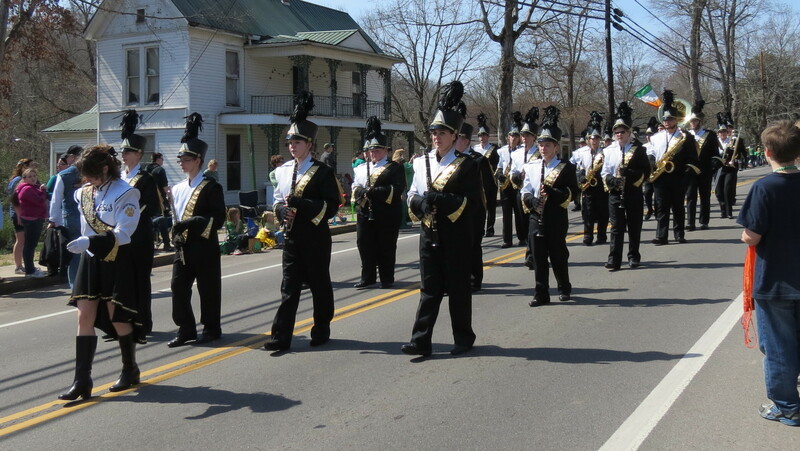 In March 2011, we attended the annual parade. 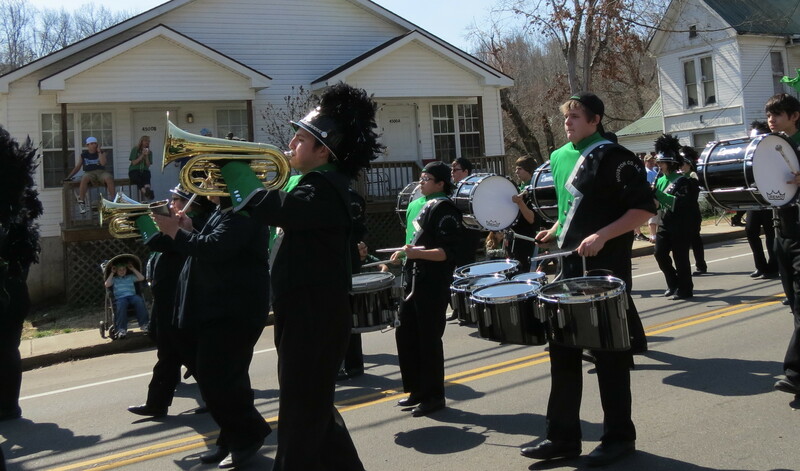 Thousands lined the main street to watch. Both before and afterward celebrants enjoyed the food, music, carnival and crafts. 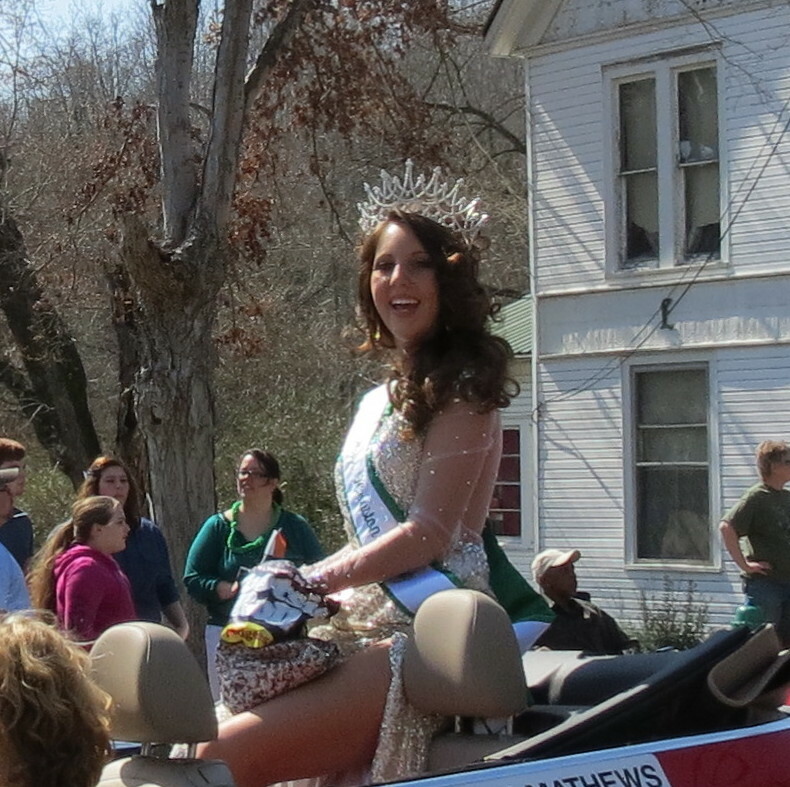 Weather in March doesn’t always cooperate, but in 2011 bright sunshine blessed the celebration. 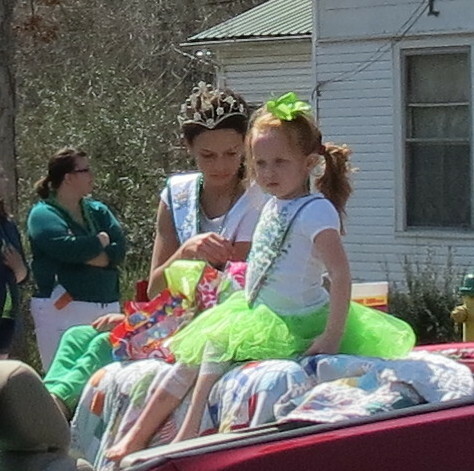 Main Street was closed at 9:30, and by 10 the local wee ones dressed as leprecans began the long treck through the center of town. 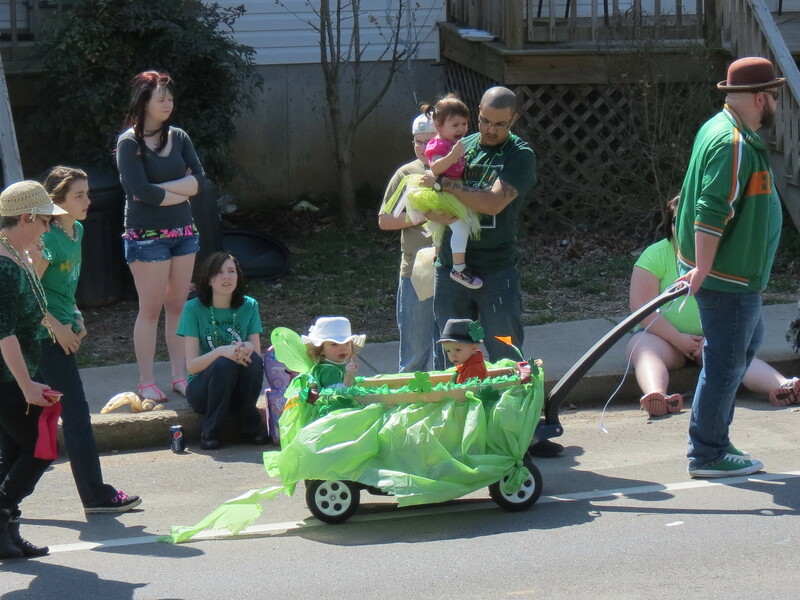 Traditionally, the children’s parade leads the way. 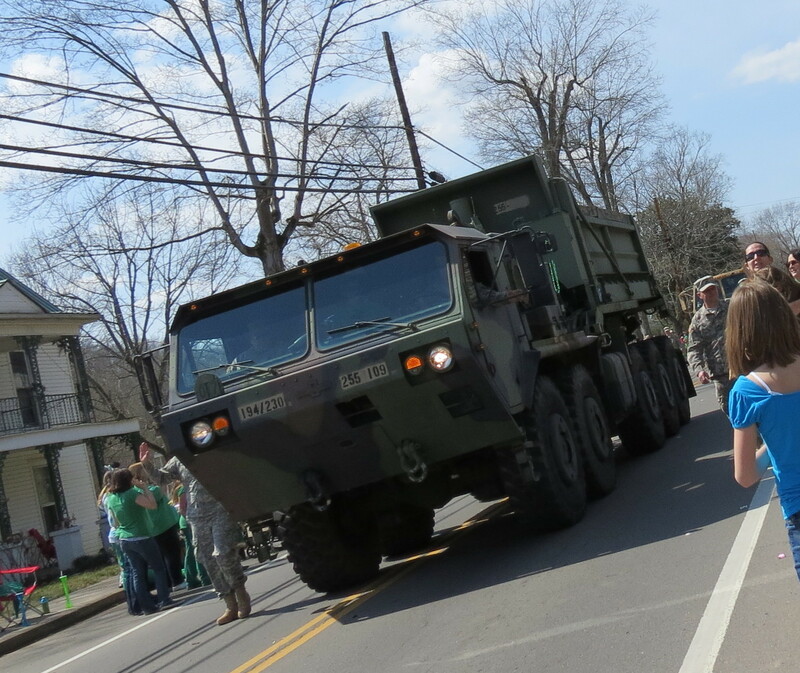 Youngsters dressed in every shade of green walked and rode assorted vehicles past the crowds of onlookers. 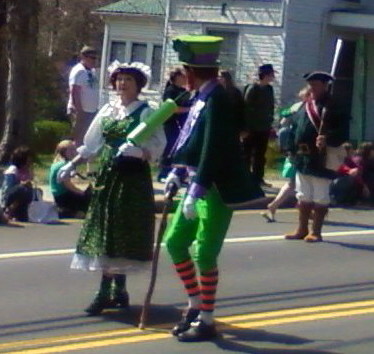 St. Patrick himself, portrayed by a local pastor, led the main event. 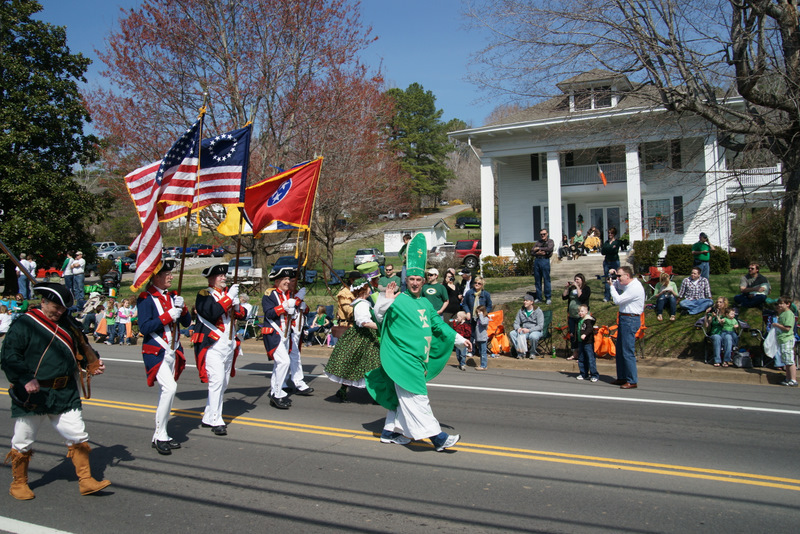 Continental soldiers carried the colors flanked by Tennessee frontiersmen. The parade lasted more than two hours and included everything imaginable. 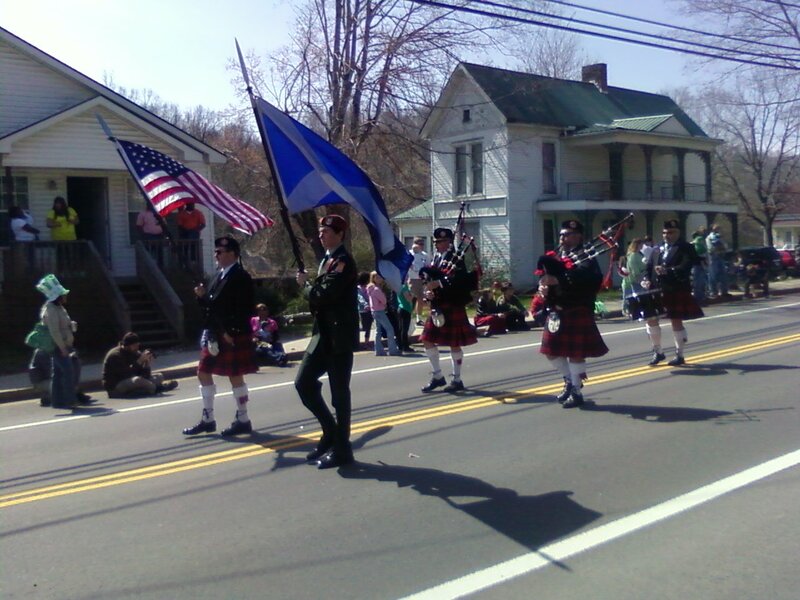 The local high school band plus a naval band and two separate bagpipe units provided music. 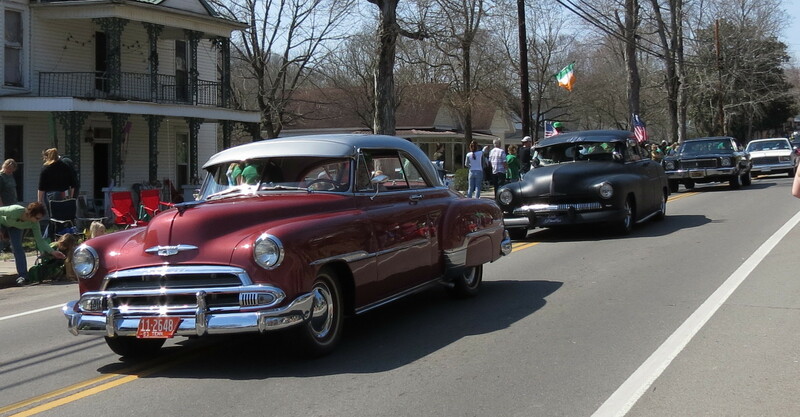 Local beauties, from infants to teens, rode in convertibles, in pickups and on floats. Firetrucks and military vehicles added color. 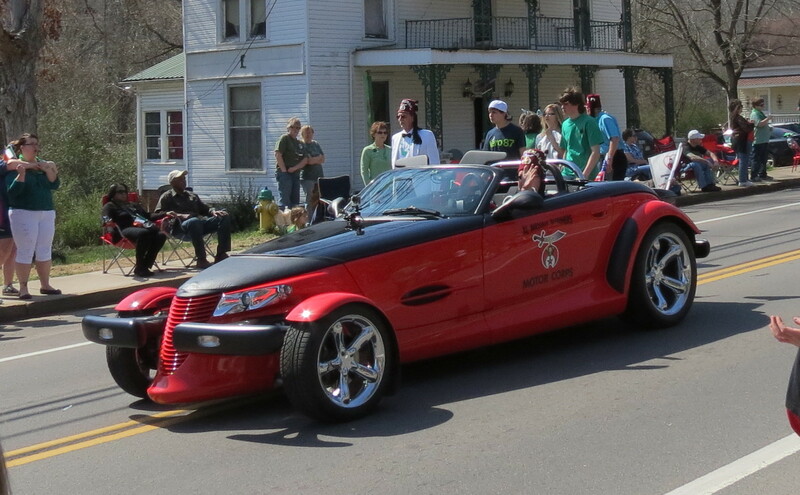 Members of a Middle Tennessee Miata club showcased their vehicles. Clowns entertained, while vendors hawked their wares. 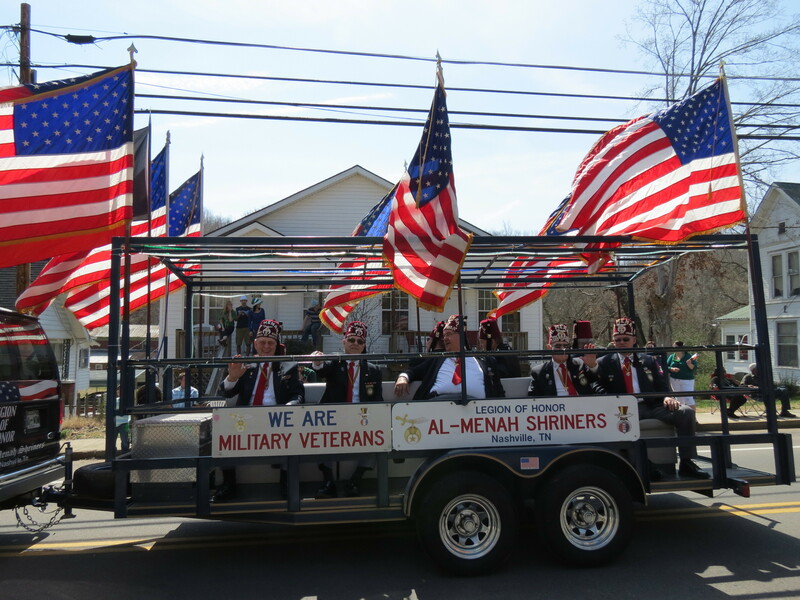 Every Shriner unit in Tennessee must have joined the celebration. 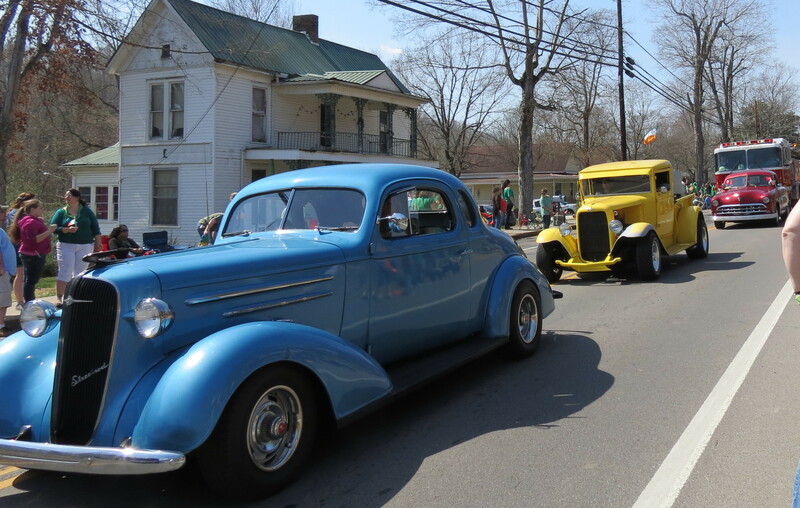 Motorcycles, mini-cars, buses filled with clowns, and other assorted vehicles circled and roared through town providing lots of fun for all. 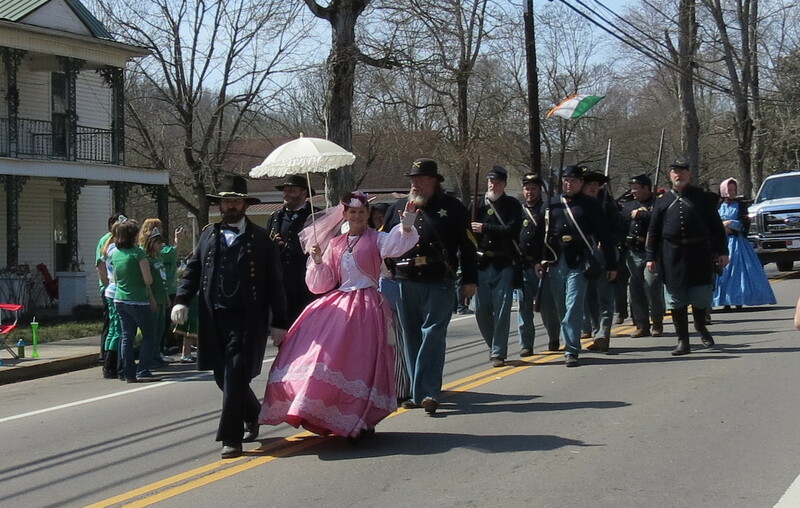 A highlight of the parade for me was a flat-bed truck carrying civil war vintage cannon and re-enactors. 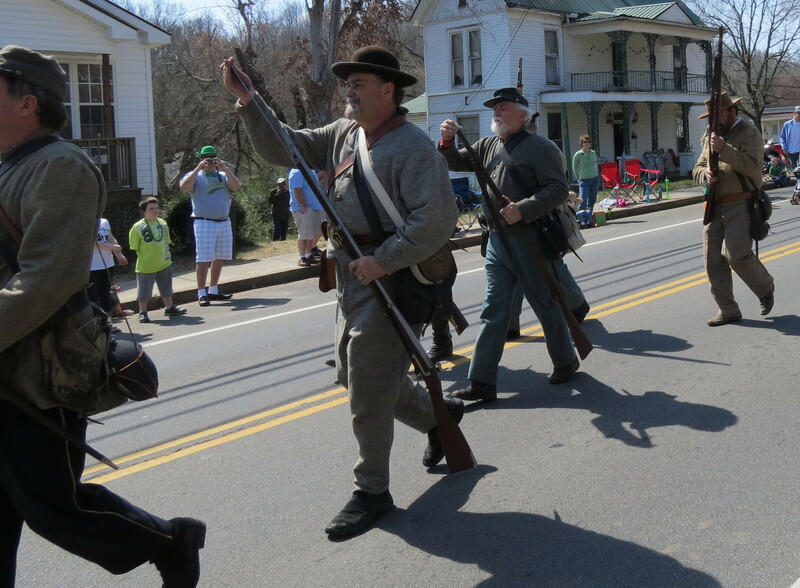 Confederate infantrymen marched behind the truck and periodically fired their rifles. Many parade goers were startled by the loud volleys. Quite impressive. 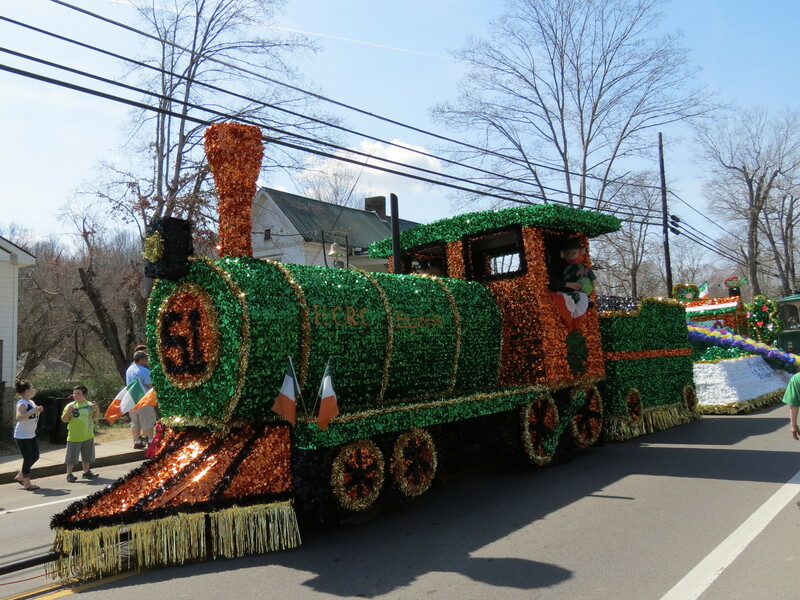 The parade would not have been complete without the numerous floats portraying the annual theme. Proud owners rode beautiful horses and drove antique tractors. Almost every unit tossed candy and beads to the crowd sending kids scurrying to retrieve the goodies. 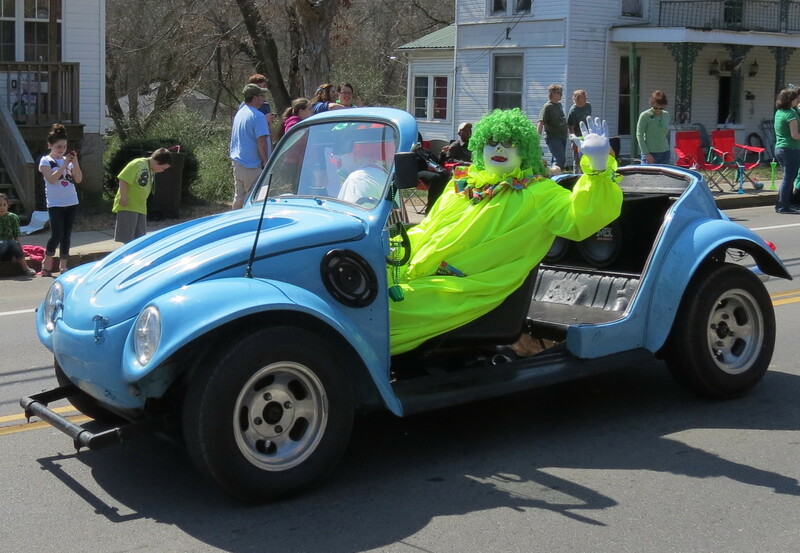 My hometown really put on a fabulous parade enjoyed by all. Both before and after the parade people crowded into the downtown area where numberous stalls sold all types of food, crafts, and souveniers. Artists and craftsmen displayed their works. Bands provided music and the carnival rides served up thrills and screams of delight. This annual event provides families and old friends the opportunity to get together during high school class reunions and family reunions. 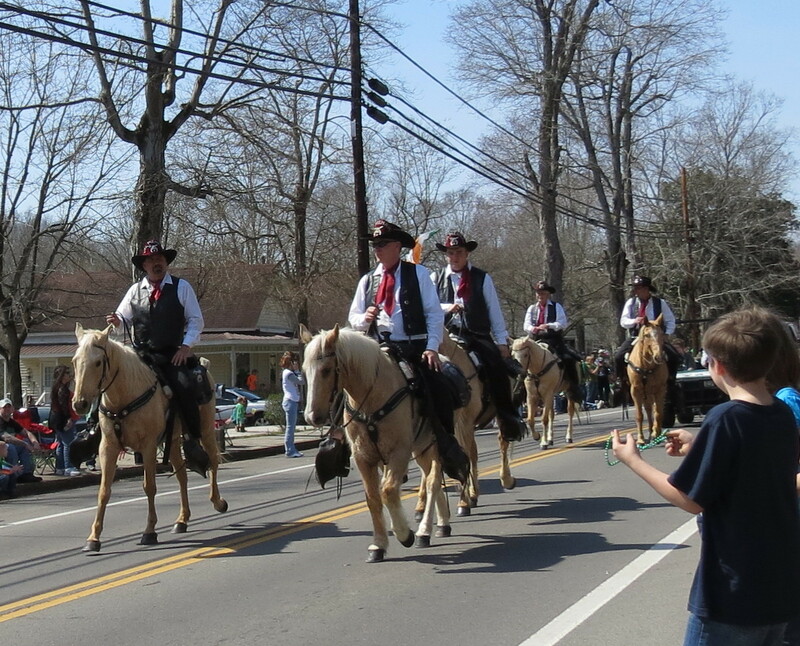 This year’s parade is scheduled for Saturday, March 17, 2012. Come early and enjoy the day.